Dr Anne Lawrence has been awarded an AHRC Fellowship for 2013-14, to support her research into the reality and practice of meteorology in medieval England. This work will both provide a history of medieval meteorology and challenge the still-popular idea that the middle ages was a period without meteorological knowledge. This belief can be seen both in academic works on the history of science and in histories of meteorology. One example is the Feature Article on ‘Weather Forecasting Through the Ages’ published on the NASA website http://earthobservatory.nasa.gov/Features/WxForecasting/wx2.php In customary style, this begins with the Babylonians and Greeks before moving straight on to the great names of the Renaissance. Even Lynn Thorndike’s magisterial, multi-volume History of Magic and Science has scarcely any entries in its medieval volumes for meteorology. Thus medieval meteorology is a subject badly in need of attention. Its continuing absence from history is surprising, since, like medieval medicine, it was closely linked to astrology – and much work has been done on the medieval rediscovery of ancient astrology. Anne’s project therefore aims to produce the first systematic study of medieval meteorology and its place in English medieval culture. It will begin by exploring the evidence that forecasting the weather was not an activity undertaken by either superstitious monks or illicit practitioners of magical divination. Instead, it utilised scientific concepts which were inherited from antiquity and from newer Arabic discoveries, which were brought together with theological analysis of the nature and working of the created universe. The research will cover the period from the 10th to the 14th centuries, when scientific calculation of how the universe functioned was greatly expanded by discoveries in mathematics and astronomy. Meteorology was closely related to astrology and cosmology, and the links between the motions of the planets, aerial transmission of planetary influences, and the patterns of times, tides andseasons were increasingly investigated. Within this broad field of medieval science, the focus will be on the concepts and techniques directly applied to weather forecasting. This will both open up unfamiliar aspects of medieval history and challenge still-dominant modern views of the middle ages. The hostility which the medieval Church is assumed to have felt towards any attempt to foresee future events was much more nuanced than has been supposed, and preliminary findings show that there was widespread acceptance that the planets (which included the sun and the moon) affected the weather just as they did the temperature and the tides. The practical importance of weather forecasting was recognised not only by politicians and military leaders, whose movements of troops and supplies it affected, but also by religious institutions – and by anyone concerned with agriculture and food supplies. The project is not intended to suggest that medieval meteorology rested upon any of the same scientific theories or paradigms as the modern practice, nor that its forecasts were accurate! However, the research will include not only reading the texts on how to make astrological weather forecasts but also putting the techniques into practice. Anne has already experimented with this at the Weather, Art and Music Festival staged in Reading in 2012, when ‘medieval’ weather forecasts were produced, applying medieval procedures, for any dates which visitors to the Festival suggested. The results of this experiment showed that the accuracy of the astro-meterological forecasts was better than expected, though still only slightly above 50%! However, the evidence does suggest that cutting-edge meteorological research is long established in England, and that at least some medieval monasteries were centres of meteorological as well as medical expertise. 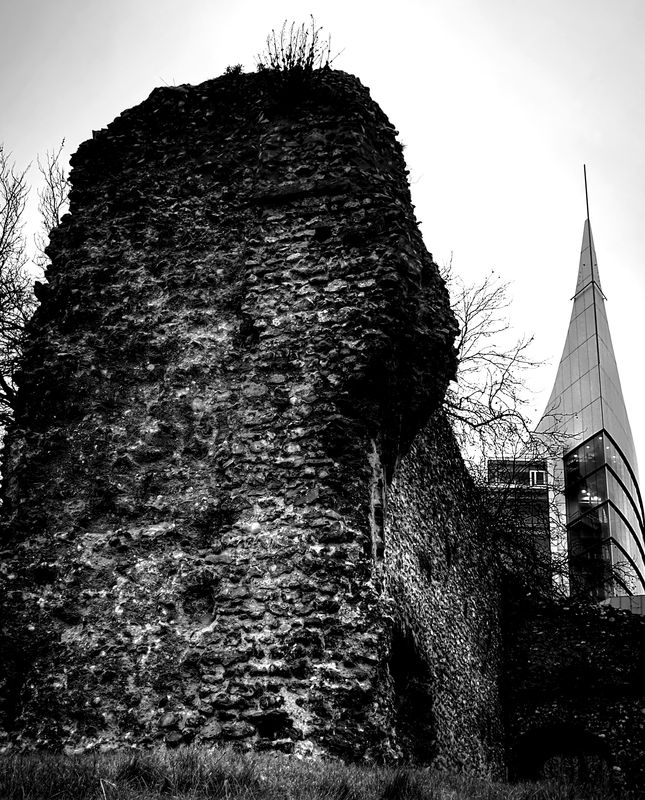 Was the great, royal abbey of Reading such a centre? No evidence of this has yet been found – but another part of the research will be to examine all the relevant surviving manuscripts from English monasteries, so a discovery relating to Reading is not entirely impossible. There is clear proof that meteorology was being actively developed and practised in the growing university of Oxford, where some Reading monks studied, by the thirteenth century. Much of this was linked to a desire to have warning of coming health risks and crop shortages, making it clear that the economic significance of meteorology was as well understood as its strategic and political applications. have enabled scientists to grow diamonds from a little ion crystal in a lab environment. that are still in pristine condition after 50 or 100 years.